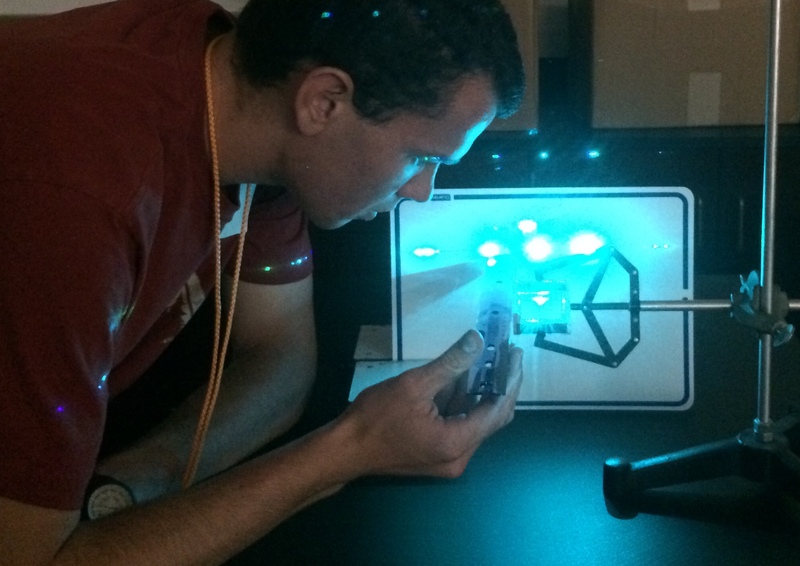 FLORENCE, Ala. – Fresh off the success of a recent STEM camp, the University of North Alabama is set to host another, June 18-20. UNA’s summer STEM Camps give middle and high school students the opportunity to learn from UNA STEM scientists in mathematics, computer science, physics and astronomy. They engage in hands-on learning experiences with rockets, robots, programming, Galileoscopes, spectral glasses, bright spectral lamps and multi-line lasers. And sometimes they make history! At UNA’s first STEM camp session this summer, June 11-13, students from Deshler, Brooks, New Century Technology, Shoals Christian and Florence high schools were the first class of science students in UNA’s new Science and Technology building. UNA’s Dr. Brian Thompson led the lab using diffraction grating to measure wavelengths of discrete line light sources on a massive scale. Amazingly, they came within 1 nanometer of the standard wave length measurement! The discrete line light sources were an argon ion laser and mercury spectral lamps. Students were accompanied by camp counselors Ellie Couch and Katelyn Payton, and UNA faculty Dr. James Jerkins and Dr. Cynthia Stenger. 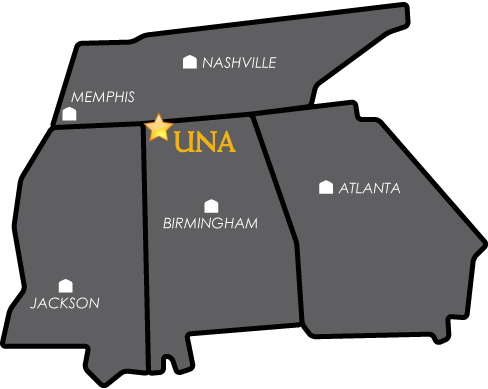 UNA’s STEM camps are also made possible thanks to the following sponsors: Dr. Michelle Hames of Beltone Audiology, the Office of Student Affairs, University Honors Program, the University Success Center, the Department of Mathematics, the Department of Computer Science and Information Systems, the Department of Physics and Earth Science, and the Office of Admissions.